This paper investigates the hypothesis that ethnicity has spillover effects on the human capital accumulation process. It extends previous research by documenting the extent to which the relative importance of parental inputs and ethnic spillovers in the intergenerational transmission of skills differs both within and across immigrant and U.S.-born ethnic groups. 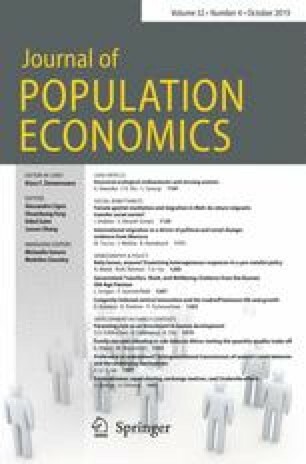 Using data drawn from the General Social Surveys, the study documents that the second and third generations (i.e., the children and grandchildren of immigrants) experience relatively more rapid economic advancement than do other generations, and that ethnic spillovers play a stronger role in households which are at the extremes of the skill distribution. Professor of Economics, University of California at San Diego, and Research Associate, National Bureau of Economic Research. This research was supported by grants from the Russell Sage Foundation and the National Science Foundation (Grant no. SES-9121538).